The Department for Transport went ahead with a £13.8 million no-deal Brexit ferry contract despite its assessment that the firm involved was “a high-risk proposition”, a Government spending watchdog has reported. The National Audit Office said that Seaborne Freight was unable satisfactorily to meet the criteria required in the DfT’s tender for additional cross-Channel services to ease disruption in the case of a no-deal withdrawal from the EU. But Chris Grayling’s department decided to proceed with the contract to run services between Ramsgate and Ostend after putting additional protections into the contract to reflect the risk that Seaborne – which had no ships – might not be ready in time. The contract was terminated at the weekend, after Irish company Arklow Shipping, which had backed the new operation, stepped away from the deal. Theresa May’s spokesman said the Prime Minister continued to have full confidence in her embattled Transport Secretary amid opposition calls for his resignation over the collapsed deal. But shadow transport secretary Andy McDonald told the House of Commons that Mr Grayling was “rewriting the textbook for ministerial incompetence in office”. In a memorandum on the case, the NAO said it was only last autumn that the Government identified the possibility of “significant” disruption to cross-Channel freight lasting for six months after a no-deal Brexit, rather than the previous worst-case estimate of six weeks. With the flow of goods on short Channel crossings potentially set to be reduced by 87% at a cost to the economy of £5.25 billion, the DfT approached ferry companies about the possibility of laying on additional capacity. The department cited the “extreme urgency” of the situation to bypass transparency requirements which would normally have required the publication of invitations to tender. After approaching nine operators, it received just three bids, all of which went through to contracts worth a total of £108 million, said the NAO. External consultants were paid £800,000 for work on the procurement process. But the NAO said that Seaborne was “non-compliant with the requirements set out in the invitation to tender”. “As a new business without significant financial history, Seaborne were unable to satisfactorily meet the requirements of the economic and financial standing assessment,” said the watchdog. The DfT’s accounting officer conducted a review of the decision, which found that failure to act would mean losing “the ability to secure ferry capacity that could protect critical goods under a no-deal exit” and that “reasonable measures” had been taken to ensure value for money. The deal was subsequently approved by the Treasury. Risks identified included the possibility of “teething troubles” due to Seaborne being a new operation, the fact that the company did not have contracts to use either Ramsgate or Ostend ports and had no ships chartered and the need for a programme of work to get Ramsgate ready for use and a recruitment process for Border Force officers. The department insisted on conditions in Seaborne’s contract requiring it to meet milestones in its preparations by specific dates. The contract also included a clause requiring the department to provide £3 million to Thanet Council to enable the completion of works on the port. The NAO memorandum was published by the influential Commons Public Accounts Committee, whose chairwoman Meg Hillier said it raised “serious issues”. “The Department for Transport waited until September 2018 to start thinking about the risks to freight transport across these important routes and entered into a £13.8 million contract with Seaborne Freight despite it being a new operation, owning no ferries, and not having binding contracts to use the specified ports,” said Ms Hillier, whose committee will grill officials from the DfT on the contract in a hearing on Wednesday. At a regular Westminster media briefing before the release of the NAO document, Mrs May’s official spokesman was asked whether the PM had full confidence in Mr Grayling. Speaking in the House of Commons on Monday, he told MPs that he was “fully aware” that Seaborne was a start-up business with no ships. He said it had been Arklow Shipping’s backing that gave the department confidence in the viability of the deal and that its “unexpected” withdrawal led to the termination of the contract. “Not a penny of taxayers money has gone to Seaborne,” he said. 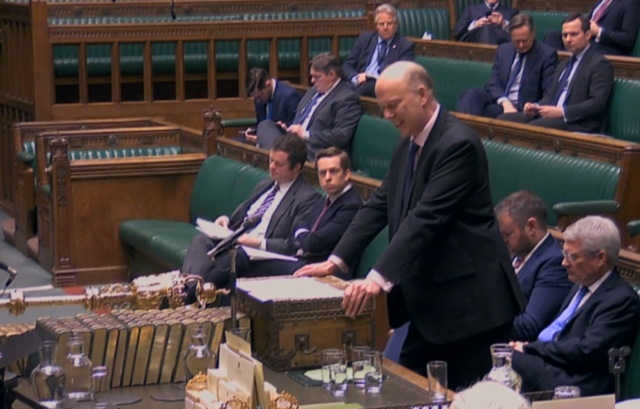 Mr Grayling defended his department’s no-deal Brexit planning, adding that the Seaborne Freight contract was “assured jointly” by DfT and Treasury officials. A DfT spokeswoman said: “No taxpayer money has been transferred to Seaborne. “As the NAO has made clear, the Department for Transport acted transparently and competitively throughout the process of securing extra freight.